If you're anything like me, you start your morning by reading the obituaries. This works out just fine in our house because my wife likes to grab the comics first. Before I actually read any of the departeds' biographies, I scan the page for unusual nicknames. I can usually bet on at least one Tiny, who judging from his photo may not have been so tiny. Slim, Bubbles, Smiley, Sweet Pea, Junior, Rocky and Dusty all seem fairly prevalent among the deceased. My all time favorite is "Cementhead." Now that must have been one hard-headed fellow. Personally, I like the bios that are short and sweet. Born, died and don't bother with the flowers. In fact, my mother - who just turned 78 and hasn't been sick a day in her life - just informed me that she has made arrangements with the University of Miami to donate her body to the medical school when she passes on. "No service, no burial, no nothing. The only cost you'll have to pay is the transportation of my body to Miami," she told me. Then I asked her if I could save a few bucks if I drove her body down there myself. "Don't be ridiculous!" she exclaimed, "OK," I quipped, "how about Tri-Rail?" Then my real pet peeve: the photo. The deceased died at age 99, but the photo was taken when they graduated from high school. I'm all for vanity, but when you're dead, what's the use? To spare my loved ones the last-minute creative torment of writing my obituary, I'm doing it now. 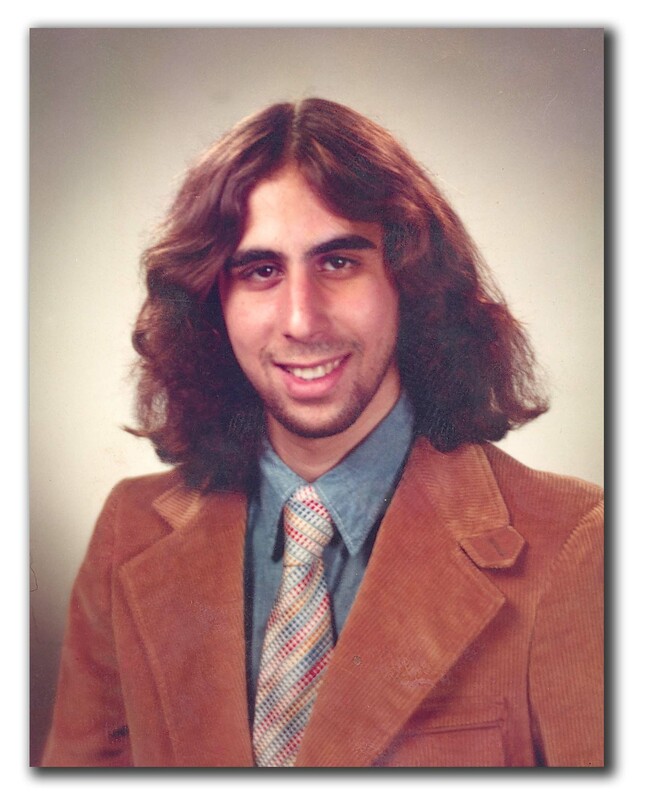 And, by the way, I'm requesting the photo be one from my high school graduation. Born on Mother's Day, 1956, in Hudson, N.Y., a city historically known for whaling and prostitution. At age 5, he unscrewed all of the kitchen cabinet doors from their hinges, indicating a predisposition for the use of power tools. Attended John L. Edwards Elementary School, where in third grade he was voted Class Clown. In fourth grade, he survived an acute appendicitis attack in spite of the fact his teacher thought his writhing on the floor all day was just a ploy to gain attention and make his classmates laugh. At age 13, he received the Red Cross Junior Life Saving Certificate, despite being reprimanded for incorrect hand positioning on a female instructor during a training drill. Passed his New York state driver license test on his 16th birthday. Crashed his father's new Ford Thunderbird one day after receiving his driver license. In 1972, he attended his first Allman Brothers concert at the Saratoga Performing Arts Center, where he forgot where he parked his father's car and thus began his lifelong fascination with bicycles. Barely graduated from high school in 1974 and then began his meteoric rise up the corporate ladder. Started working as a furniture refinisher at Claire's Restoration Barn in Mellenville, N.Y. Promotions led to work as fruit picker at Mountain Range Farm, jewelry polisher at Twin Fish Jewelers, cabdriver for Star City Cab Co., graphic designer at The Wappingers Falls Press and as photographer's assistant at the Herb Sculnick Studio in New York City. After leaving the Sculnick Studio to start his own company, Michael I. Price Photography, he soon had his first photo in a national publication: His eight-months pregnant wife in overalls for Mothering magazine. Despite ongoing rejections from other major publications, such as Pigeon Journal and Scrap Metal Monthly, his perseverance led to assignments from People, Newsweek, The New York Times and USA Today. In 1986, he was hired by the Palm Beach Daily News as a staff photographer, irrespective of the fact that chief photographer Kim Sargent told then-publisher Agnes Ash that "I never in my life saw someone wearing clothes so wrinkled." Within days of starting his new job, he purchased a pair of Nike Air Jordan red leather sneakers, which were to become his trademark. After working two seasons and consuming approximately 800 cheese puff pastries, 400 crab claws, 80 pounds of shrimp, and countless carrot and celery sticks, he resigned to work as a full-time freelance photographer. His career immediately soared when thespian and local resident Burt Reynolds threatened to "rip his head off" for taking his photo while on the set of B.L. Stryker, one of many Reynolds' canceled TV endeavors. Riding the momentum of the Reynolds' shoot, he then went on to photograph such luminaries as Donna Mills, star of the TV drama series Knot's Landing; Vice President Dan Quayle; and Beverly Hills hair stylist with the cowboy hat and ponytail, Jose Eber. Although Mr. Price never formally retired, he spent his remaining years watching reruns of Law & Order and fabricating crucifixes from discarded engine parts. He was often heard saying, "When the running was good, I ran hard," which his friends believe was a reference to the 1970s and early 1980s.